Today is Ash Wednesday, the start of the Christian season of Lent. 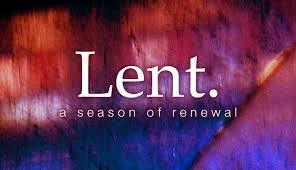 The season of Lent is a time of reflection. This season started this past Wednesday, at Ash Wednesday. Ash Wednesday starts this time where as a church and as individuals where we reflect our sin, our need for Jesus, and the power that He brings to our lives. This season began thousands of years ago as new converts to the Christian faith were baptized and became fully part of the church. However, before they were baptized, they had a time of reflection, of prayer, of fasting, of preparation. They were getting themselves ready to make this decision, to take this plunge. But before they did, they made sure that they were ready. We do the same thing today in this season of Lent. We know that God has called us to great things. And for preparation for that, we need to get ready for that, ready to be faithful. We prepare. So, with that, a couple of things. First, I would encourage you to fast from something this Lenten season. Fast from a meal, from a food, from an activity, from something. And second, when you fast, pray. Let this fasting draw your heart and your mind to God. Let it make you pray! The thing that is sticking with me is this. Jesus didn’t say “if you fast.” He said, “when you fast.” Jesus, tells us that as Christians, fasting is not options. It’s like loving. And serving. And showing grace. And forgiving. It’s what we are supposed to do. Why? Fasting helps us pray better. It helps us focus on God. It helps us to see the desires that control us. It draws us closer to God. It causes us to pray. It gives us wisdom and dependence. It strengthens us. It makes us cling to God. In short, it truly, truly, truly strengthens our faith. This Lent, I encourage you to fast in some way from something. And see what God does in your life. Starting today and leading to Easter, I pray you have a Holy Lent.